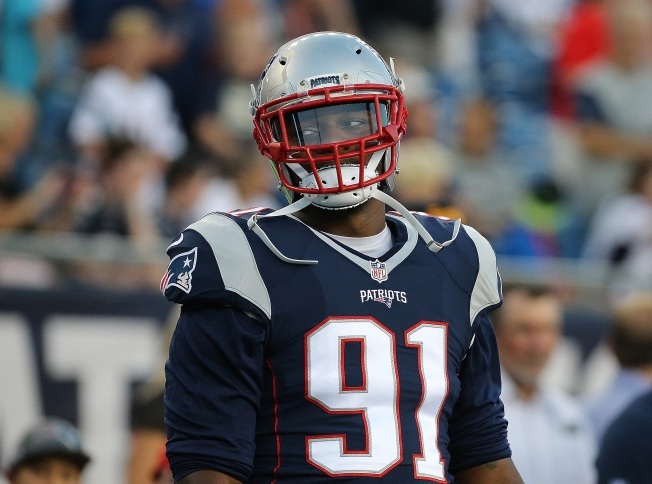 The Patriots surprised many around the NFL last month when they traded linebacker Jamie Collins to the Cleveland Browns. It created yet another adjustment for a defense that was already dealing with an injury to linebacker Jonathan Freeny and the offseason trade of pass rusher Chandler Jones. By parting ways with Collins, they not only jettisoned what might have been the most athletic player on New England's roster, but also instantly put a lot more on the shoulders of veteran linebacker Dont'a Hightower, second-year player Trey Flowers and rookie Elandon Roberts. The first taste of life without Collins was on Sunday against the Seahawks, and after a 31-24 loss that included the Patriots' defense getting pushed around at times late in the game, it appears that unit might take time before it completely figures things out. New England gave up a season-high 31 points to the Seahawks, and allowed an opponent to gain 400 or more yards for the second time this season. "It's certainly not all one thing, but in total we obviously need to do a better job than what we're doing,'' coach Bill Belichick said of some of his team's defensive breakdowns Sunday. "That's all the way across the board, all the areas of the defense; front, coverage, run defense, turnovers, you name it. It's not all bad, but it needs to be better." The Patriots did hold the Seahawks to a field goal on four of their seven trips inside the red zone, while sacking Russell Wilson three times. But Wilson managed three touchdown passes on Seattle's other three red zone opportunities, including a pivotal eight-play, 48-yard drive capped by a 15-yard pass to Doug Baldwin early in the fourth quarter. The Patriots struggled to get any pressure up front on Wilson during the drive, which took only 4:05 off the clock. "We just struggled," Flowers said. "It was a tough game, we played a good team. We left some plays out there, no doubt about it." Despite the miscues, there were individual bright spots to build on. The most promising effort might have come from Flowers, who posted his second straight two-sack game in his first career start at defensive end. Meanwhile Roberts, elevated to Collins' old spot in the starting lineup Sunday, was credited with only one solo tackle while assisting on three more. After dealing with an early-season knee issue, Hightower continued to be productive with his second 10-tackle game of 2016. But with seven games left, he could certainly use some help from his teammates. Despite the shortcomings, defensive captain Devin McCourty said he's confident they will be able to figure things out.